Love Angry Birds? Love this Pig King case from Nokia for the E7 smartphone. The Nokia CC-5001 Angry Birds hard cover protects the back and sides of your phone from accidental bumps, drops and scrapes. The tough plastic shell will keep your Nokia E7 safe from accidents. The shell has cutouts for the ports and features of your phone such as the camera with flash, volume buttons and charging sockets. The simple snap on design allows for easy installation and removal if necessary. It features a special coating which will not scratch the back of your phone when on. 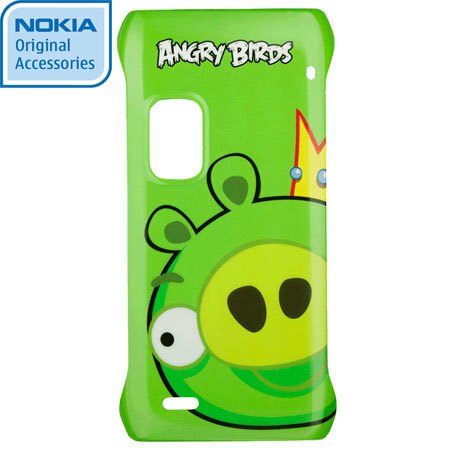 This case features the popular pig king design from the game Angry Birds.